It is do-or-die time in the Turkish Airlines EuroLeague Regular Season, as the fifth and last double weeks is right in front of us. Round 26 brought some very interesting results. 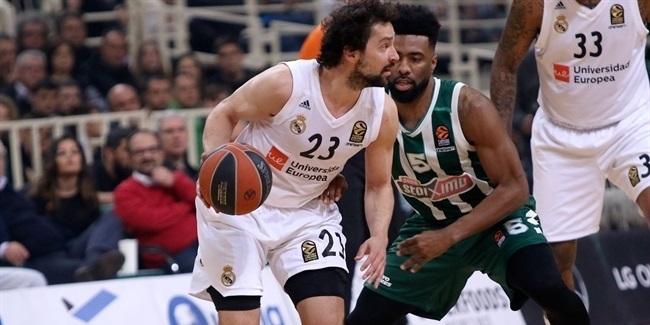 Real Madrid locked the home-court advantage with a 25-point road win against Khimki Moscow Region. Madrid is getting ready for the playoffs, making sure it will be competitive enough to fight to keep the trophy. Anadolu Efes Istanbul is all but mathematically in the playoffs with a brilliant 71-79 road win against Maccabi FOX Tel Aviv in which Shane Larkin and Vasilije Micic stood out. Nick Calathes banked in a long three-point shot to lift Panathinaikos OPAP Athens against CSKA Moscow in the Russian capital. It is the Greens' fourth consecutive win, which kept Panathinaikos into the playoffs game. 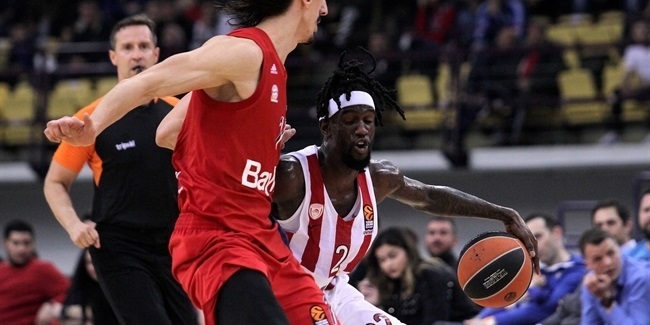 AX Armani Exchange Olimpia Milan defeated Olympiacos Piraeus in a key game, KIROLBET Baskonia Vitoria-Gasteiz thrashed Buducnost VOLI Podgorica and Zalgiris Kaunas held on to its playoffs hopes by topping FC Bayern Munich. Fenerbahce Beko Istanbul and Herbalife Gran Canaria - two teams in very different circumstances, standings-wise - registered respective home wins. There are three wins between the sixth and the 11th spots in the standings. In other words, the upcoming double-round week is the most critical until now. Expect big games, outstanding battles and good individual performances to help your EuroLeague Fantasy Challenge team. Here are five ideas to improve your team in the short run. 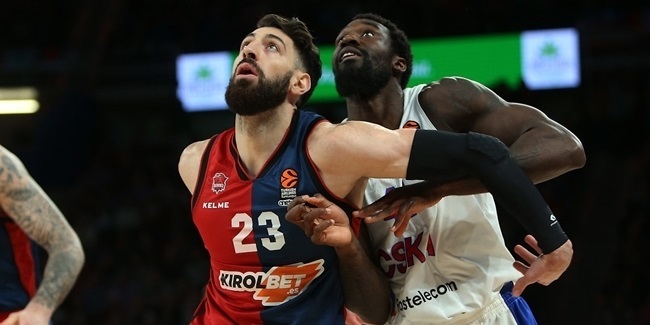 Kostas Sloukas, Fenerbahce Beko Istanbul (1.57 million) – He recorded the only double-double - 22 points, 11 assists - in the EuroLeague last week. Sloukas is in a great moment and even when Fenerbahce is qualified to the playoffs with the home-court advantage, rhythm is everything for any team right now. Sloukas should have a good week. Nick Calathes, Panathinaikos OPAP Athens (2.15 million) – Despite winning its last four games, Panathinaikos is with its back against the wall and facing two direct opponents in the playoffs race, Baskonia and Milan. Calathes is the team's leader and must play really well in order to make Panathinaikos as competitive as possible. Ante Tomic, FC Barcelona Lassa (1.67 million) – Right now, Barcelona is in a good situation to seal a playoffs spot, even at the end of this week. Tomic is a great fit this week, as Barcelona plays against Gran Canaria and Bayern, two opponents against which he can show his best skills - low post game and court vision. Adrien Moerman, Anadolu Efes Istanbul (1.88 million) – He had a double-digit PIR in each of the last 11 EuroLeague games, that is how solid Moerman has been lately. Moreover, Moerman a had a PIR of 14 or better in each of the last six games. That's money in the bank when it comes to Fantasy Challenge. Go for him before it is too late! Nikola Milutinov, Olympiacos Piraeus (2.06 million) – Without Vassilis Spanoulis, out the whole week, Olympiacos need its main scoring references to step up. Olympiacos is in a do-or-die situation and need its starting big man to use his power and post skills against Bayern and Gran Canaria. Expect Milutinov to take over in the paint.